The Sanhak Mountain Floral Festival which got delayed due to the late blossoms. 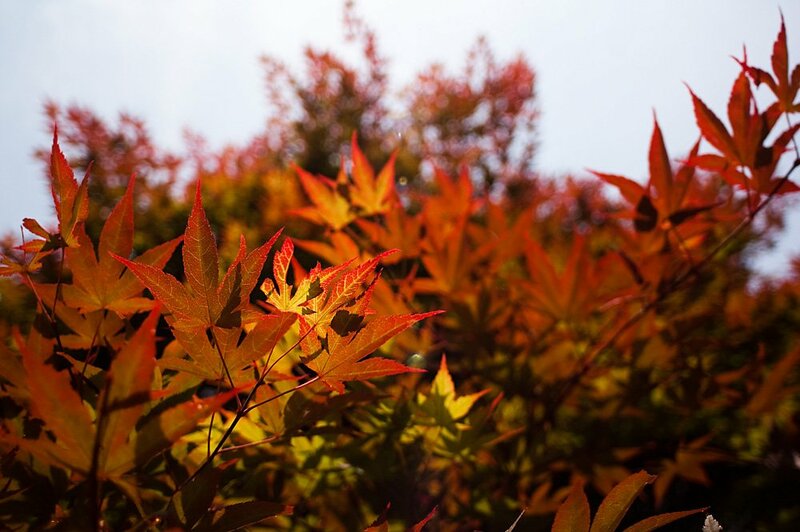 The shot was taken looking at the sky, so the sunlight permeated the leaves making them an even sharper fiery red. It looks like fall season.